As fresh and clean an example as you'll ever see from any card of the elusive 1932 US Caramel production. Easily among the most desired yet scarce and condition sensitive productions from all of the '30s. The '32 U.S. Caramel set of 'Famous Athletes' features a HOF caliber line up of Baseball's greatest stars, including this magnificent Babe Ruth issue. 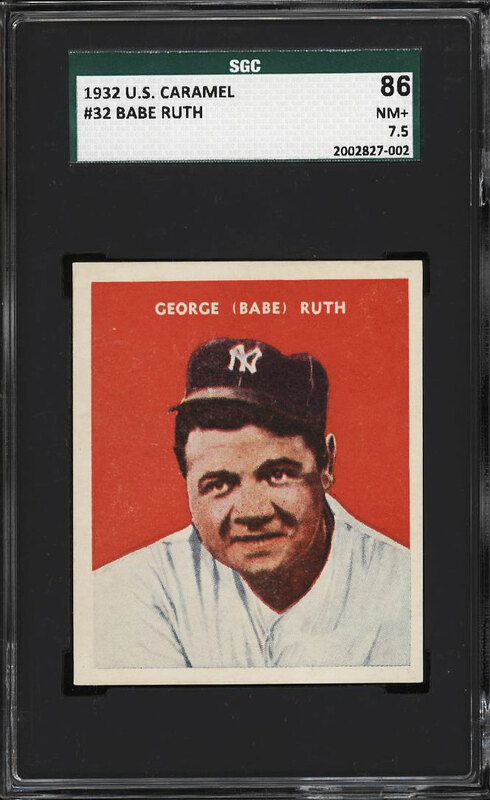 The card features a vivid red background with a beautiful black & White portrait shot of the legendary Yankee. Showing clean white borders with crisp edges around and virtually NM-MT card stock. Well centered with four minimally touched corners to boot. 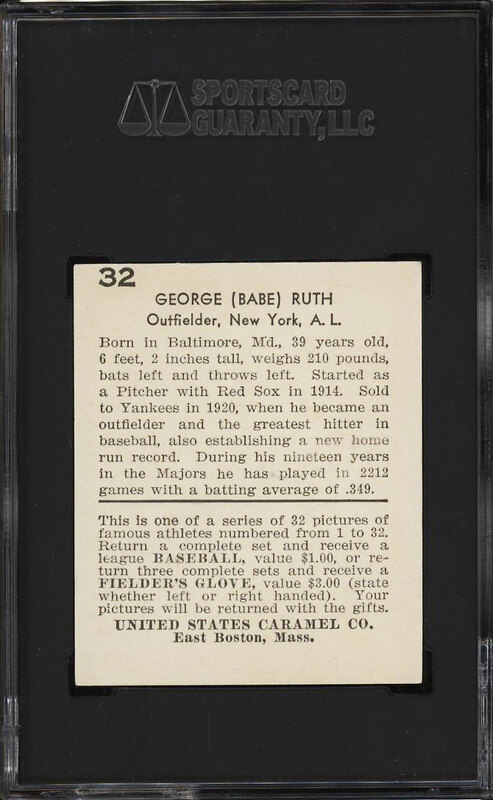 The '32 Caramel Ruth is particularly difficult to locate in such high-grade with it being the last card in the set. The scarcity of this card is further complicated by it's limited distribution, main in the Boston area. An all around stunning investment caliber card which commands attention. One of over 15,000 cards, lots and sets up for bid in our 7th Auction of 2018. Click on the link above to view the other PWCC auction lots.